Give your K-12 students fun and educational programs year-round. Please note that online registration for all YEP classes automatically closes the Thursday before each class begins. If you would like to enroll after it closes, please call our office at (309) 268-8160. For your convenience, you can register online. You may also register by calling Continuing Education at 309-268-8160. Please make sure to complete all emergency information requested for your child so we are able to admit them in YEP programs. Instructors will have emergency contact information for the duration of the class. You will receive a confirmation letter in the mail after your child has been enrolled. 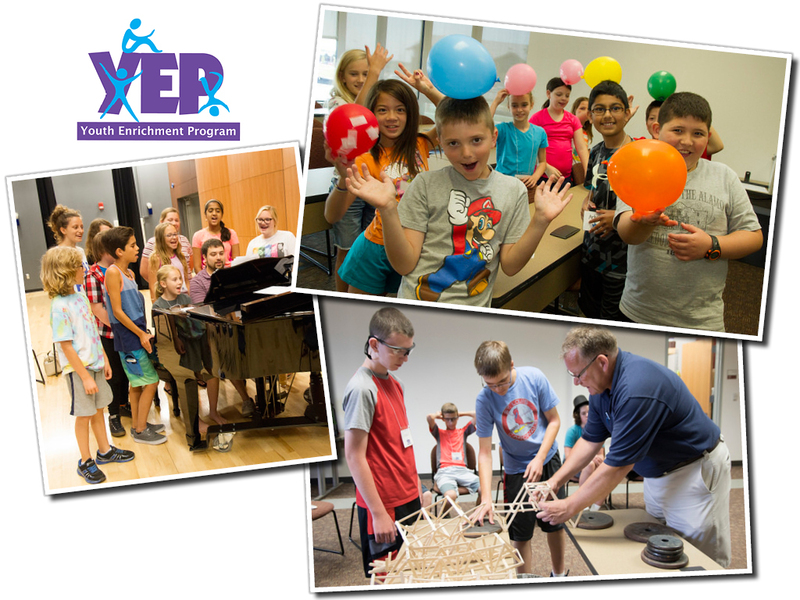 YEP offers a limited number of need-based scholarships for summer Youth Enrichment Program classes. Contact us at 309-268-8160 or view the YEP Financial Scholarship Application (PDF) for details. Continuing Education reserves the right to limit the enrollments or cancel any classes due to insufficient enrollments. For this reason, please register early to reserve your place in the class of your choice. We will notify you when a class has been filled or cancelled. You may choose alternative courses or receive full refunds. Unless otherwise stated in the class description, if you wish to drop a class you must do so no later than two business days before the first class session to receive a refund. After that time, no refunds will be issued. Unfortunately, we are unable to issue refunds or credits due to missed classes. No refunds will be given after the class has ended. Payments for course materials, supplies or textbook are non-refundable. To drop a class, please call 309-268-8160. All students are expected to maintain appropriate and respectful behavior while attending YEP classes. If a child is disruptive, disrespectful or inappropriate, or jeopardizes the safety of others and staff intervention fails to yield results, parents will be contacted. If the behavior continues, staff reserves the right to dismiss the student from class without a refund. Your child should arrive no earlier than ten minutes before class begins and be picked up immediately following the dismissal of their class each day. For your child’s safety, a check-in and check-out signature by the parent/caregiver is required each day. YEP classes are held on the Heartland Community College campuses in Normal, Lincoln and Pontiac as well as many partner sites in the area. Please have your child report to the class location listed in the confirmation letter. A map will be included for your convenience.